Every Thursday evening, we clear the floor between our speakers and invite folks over for a hi-fi listening session. Feel free to bring pillows, blankets, sleeping bags — whatever you like to get comfortable. 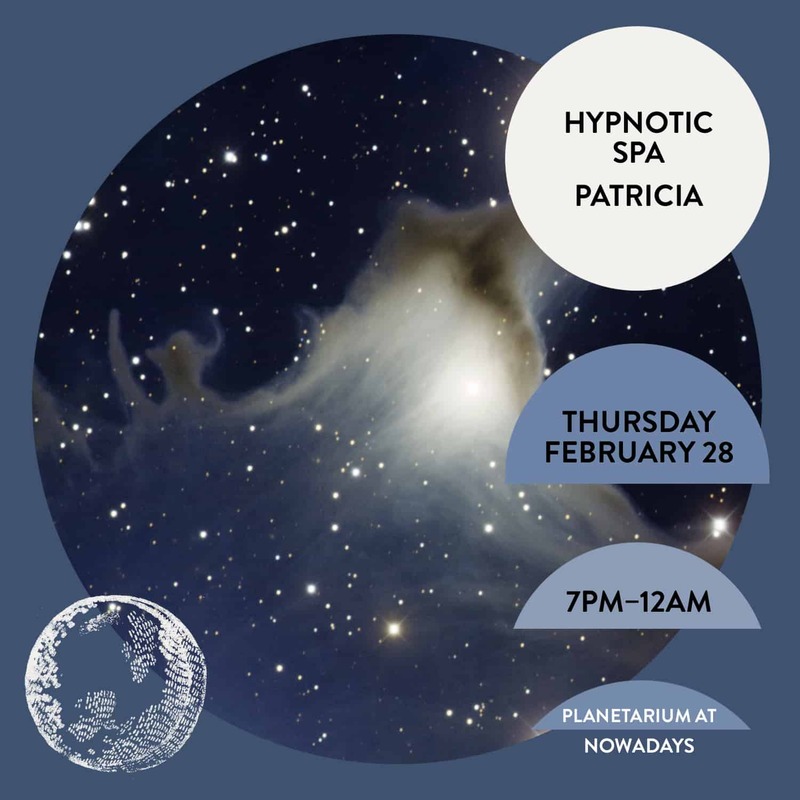 For this voyage into the sonic cosmos, Planetarium residents Maxime Robillard and DJ Sofiia, known collectively as Hypnotic Spa, will be behind the turntables and Max Ravitz, aka Patricia, will perform live. Josephine Ravitz will provide live analog video accompaniment. We’ve found the night works best when everyone keeps their voice down, so please remain silent inside the main speaker area. Outside of that space, be sure to speak quietly enough that only the person you’re talking to can hear you.